10/15/2009 - Version 0.3.1: New obstacles, 5 extra levels, different backgrounds, Pixi compatible. Please see the thread at PreCentral in the HomeBrew section for more details. An accelerometer based game for the webOS. 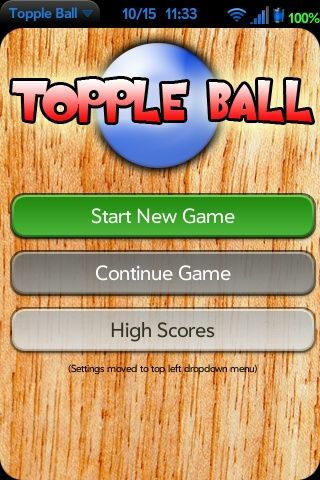 Hold your device level and tilt it to roll the ball on the screen. Land the ball into the green target area to advance to the next level. This software is currently in BETA and there are currently 25 levels.